Danish author Hans Christian Andersen is perhaps the foremost writer of fairy tales in world literature. Known for such stories as ‘‘The Little Mermaid,’’ ‘‘The Steadfast Tin Soldier,’’ and ‘‘The Ugly Duckling,’’ he expanded the scope of the fairy tale genre by creating original stories drawn from a wealth of folklore and personal experience. Impoverished Childhood Enhanced by Imagination. The story of Andersen’s life is one of unparalleled social and artistic success, rising as he did from the lowest and poorest layer of society to achieve not only the acceptance but the utter devotion of the highest social groups, the artistic elite and royal houses of many European countries. Outwardly, his story was a tremendous success, but he achieved it at great personal and psychological cost. Andersen’s childhood experiences greatly influenced his literary perspective and are reflected in his fairy tales. He was born in Odense, Denmark, to a poor shoemaker and his superstitious, uneducated wife. Andersen’s father, in keeping with the spirit of the eighteenth century, declared himself to be a freethinker and, much to his wife’s dismay, insisted on regarding Jesus as a great man but not the son of God. As an adult, his son also accepted this understanding of who Jesus was. Andersen’s father did not enjoy being a cobbler and encouraged his son to aspire to a better life by telling him glamorous stories about the theater and opera and by sending him to school at an early age. The elder Andersen also encouraged his son’s vivid imagination, reading to the boy from the comedies of Ludvig Holberg, The Arabian Nights, and the fairy tales of Jean de La Fontaine. He also built his son a puppet theater. Andersen was a shy child so instead of playing with other children, he wrote puppet dramas and designed costumes for his characters. Lost Father Amidst Tumultuous Era in Danish History. Andersen’s father died in 1816, before the boy turned eleven, two years after serving as a soldier. At the time, Denmark was involved in the Napoleonic Wars, siding with the French led by Napoleon Bonaparte against various European countries including Great Britain. In 1801 and again in 1807, Copenhagen came under British attack. In the second, decisive battle, the English armada shelled Copenhagen and captured the Danish navy, thus ending a half century of progress and middle- class prosperity built on overseas trade. As a result of the wars, Andersen’s childhood years were marked by great catastrophes in Denmark and the beginning of a lengthy economic recession. Oddly enough, however, this period was followed by a cultural explosion known as the Golden Age of Denmark—an age in which Andersen figured prominently. Encouraged as a Writer. In 1819, three years after his father’s death, Andersen moved to Copenhagen to pursue an acting career. As a young boy without references, he was denied admittance to the Royal Theater and was rejected by Copenhagen’s opera company. However, Jonas Collin, a director of the Royal Theater, was impressed by the promise Andersen showed as a writer. Collin took Andersen into his home, sent him to grammar school, and supported him until he passed the entrance exams to the University of Copenhagen. He was Andersen’s confidant, critic, and friend, and Andersen remained closely connected to the Collin family throughout his life. Andersen began writing in the 1830s. Thanks to the enthusiastic response to his work, the author received a government grant with a yearly stipend. The grant, combined with the earnings from his writings, gave him a solid financial basis, and his income grew steadily during the following years. As he began writing his fairy tales, he drew on the fantasy world he created as a child to deal with his difficult childhood and early adulthood. Found Success with Fairy Tales. In 1839, Andersen’s fairy tales began appearing in German translations, and their popularity among readers was quickly ensured. Throughout the 1840s, Andersen’s reputation in Europe grew rapidly and he traveled extensively. 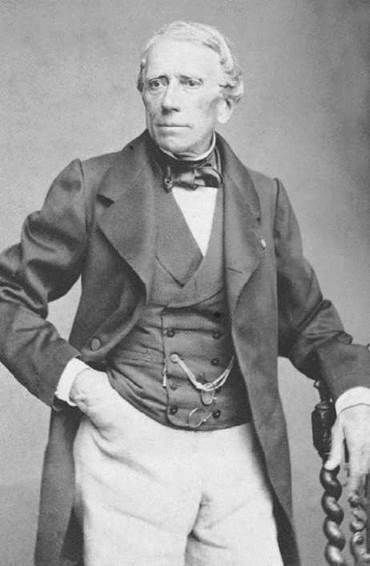 By 1843, when he made a trip that took him to Germany, Belgium, and France, Andersen was able to enjoy his celebrity. He also consorted on equal footing with such writers and artists as Victor Hugo, Alexandre Dumas, Alphonse de Lamartine, Henrick Heine (exiled by then), and sculptor Pierre- Jean David in Paris. While Andersen’s career soared, Denmark edged closer to war and eventually became engulfed in the Three Years’ War (1848-1851), a conflict between the Danes and the German duchies of Schleswig and Holstein over who should control the duchies. During this time period, Andersen’s fairy tales were no longer labeled ‘‘for children’’ and he was fully in control of his narrative form. He published such beloved stories as ‘‘The Ugly Duckling’’ in 1843 and ‘‘The Snow Queen’’ in 1845, and, by the end of the decade, his collected works began appearing in German. A similar edition in Danish would appear in the early 1850s. Andersen also published the first illustrated book in Denmark in 1849, a collection of his fairy tales with drawings by Vilhelm Pedersen. In addition, Andersen published his autobiography, The True Story of My Life, in 1847, and another novel, The Two Baronesses, in 1848. Shades of Real Life in Best-Loved Stories. Of all his stories, Andersen’s semiautobiographical sketches are considered his most enduring. Stories like ‘‘The Little Mermaid,’’ ‘‘The Nightingale,’’ and ‘‘The Steadfast Tin Soldier’’ reflect in part Andersen’s own unrequited love affairs in varying degrees of melancholy and satire. ‘‘The Ugly Duckling,’’ the story of a homely cygnet who becomes the most beautiful of all swans, is probably Andersen’s best-loved and most popular work of this type. Just as the snubbed duckling becomes a beautiful swan, so did the lonely cobbler’s son become the pride of Denmark and its international literary representative. More Open Society. After the death of Danish King Christian VIII in 1848, Denmark abolished absolute rule and adopted a constitution in 1849. A new era in Danish history was dawning, which included more modernization and openness, and it affected what Andersen wrote. He became the ‘‘house playwright’’ at the new Casino theater in Copenhagen—the first private theater in the city—and saw a number of his plays staged there in the late 1840s and early 1850s. Andersen also published a poetic travel book, Pictures of Sweden (1851), as well as more fairy tales. After 1855 and until he stopped publishing in the early 1870s, however, he insisted on calling his fairy tales ‘‘stories’’ as well to distance them from the fairy tale genre and its link to Romanticism. His later, often more experimental, tales included ‘‘The Auntie Toothache’’ (1872) and ‘‘The Flea and the Professor’’ (1873). Resided with Melchior Family Until End of Life. After an illness, Andersen died in August 1875 at the summer residence of the wealthy Melchior family. The estate, known as Rolighed (Tranquility), was located in Osterbro, which is today part of Copenhagen. For many years, Andersen had been a permanent guest of the Melchiors. The cause of death was determined to be liver cancer. Benjamin Disraeli (1804-1881): English politician and novelist. Disraeli was prime minister twice, overseeing Britain's colonization of India. He also found time to write ten novels and numerous nonfiction works. John Quincy Adams (1767-1848): Sixth president of the United States. He was most effective as a politician and diplomat before and after his presidency. Adams secured Florida from Spanish rule and he promoted the Monroe Doctrine, which was designed to keep Europe from colonizing or interfering with any more territory in the Americas. George du Maurier (1834-1896): English novelist and illustrator. Du Maurier's novels, including his famous Trilby, are social satires that are often based on his time as an art student in Paris. Du Maurier illustrated many of the most popular novels of his day and drew famous caricatures in Punch magazine. Wilhelm Raabe (1831-1910): German novelist noted for his pessimistic realism and bitter irony. His later novels are highly experimental in their time structures and narrative. Josh Billings (1818-1885): American auctioneer, real estate agent, and essayist. His humorous writings used deliberately bad spelling and grammar, and his numerous collections of sayings and observations were popular throughout the century. During his lifetime, Andersen was well-known in both Europe and the United States for his novels, fairy tales, and stories, as well as for his literary travel books and autobiography. Today, he is known the world over for his fairy tales, which are particularly popular in China and Japan, and many of his works have been translated into more than 150 languages. Nevertheless, his worldwide acclaim is based largely on the mistaken perception that he is primarily a children’s author. Many people now find it surprising that Andersen was recognized by his contemporaries as an author of adult fiction, with an adult sensibility inherent in his fairy tales and stories. Melding the Supernatural and the Realistic. Andersen himself divided his original tales into two distinct classes: ‘‘eventyr’’ and ‘‘historier.’’ The ‘‘eventyr’’ are fairy tales in which a supernatural element contributes to the outcome of the narrative. ‘‘The Little Mermaid,’’ for example, is set in a kingdom beneath the sea and tells the story of a mermaid who drinks a magical potion brewed by a sea witch in hopes that she will be metamorphosed into a human. Andersen’s ‘‘historier’’ are stories that do not employ a supernatural element. Frequently, the ‘‘historier’’ starkly portray poverty and suffering, leaving readers disturbed when good is not necessarily rewarded at a story’s conclusion. The ‘‘historier’’ also often reveal their author’s strong moral and religious attitudes: Andersen had a childlike faith in God and perceived death as a reward for a difficult life. This perception is perhaps most vividly portrayed in ‘‘The Little Match Girl,’’ a grim story in which an impoverished child dies from exposure on Christmas Eve when no one will buy her matches. The child is finally freed from her suffering when her deceased grandmother arrives to lead her to heaven. Although many of Andersen’s ‘‘historier’’ and fairy tales end unhappily, most critics concur that his underlying attitude in his stories is positive. Traditional Folktale Influences. Andersen won a place in the literary world because he revitalized children’s literature by creating a fairy-tale form and narrative style that was all his own, but there were many forerunners to the fairy-tale side of his literary production. The long tradition of folktales includes A Thousand and One Nights (first mentioned in the ninth century), which stood on the bookshelf of his impoverished childhood home. Andersen also heard folktales recounted by the poor women of Odense and he later renewed acquaintance with these stories by reading Child and Household Tales (1812-1815) by Jacob and Wilhelm Grimm. In addition, Andersen was influenced by German and Danish folktale writers such as Ludwig Tieck, E. T. A. Hoffman, and B. S. Ingemann. But unlike so many other folktale authors, Andersen’s deeply original style was fully developed from the start. While the Grimm brothers (Jacob and Wilhelm) refined and polished the folktales they had collected to achieve a normalized prose style without any particularly significant characteristics, Andersen took the opposite approach. He created a style and narrative voice that largely stayed close to colloquial speech and thus held a lively appeal for children (though he was never writing exclusively for them). His groundbreaking contribution is that he neither addresses children as adults nor talks down to them, as was the custom in literature at the time. On principle, he chose his perspective from below, from the children’s level, and thereby seemed to show a solidarity with his audience. Slovenly Peter (1845) by Heinrich Hoffmann. This collection of tales instructs children in the punishments that await improper behavior; in one, for example, a girl named Pauline plays with matches and ends up burning to death. The Adventures of Pinocchio (1883) by Carlo Collodi. This novel about the virtues of telling the truth is far darker than modern adaptations. The kind Blue Fairy of the Disney version is the ghost of a dead child in the original, and early in the book Pinocchio smashes the Talking Cricket with a hammer and kills it. Tales of Mother Goose (1697) by Charles Perrault. French author Perrault's book, filled with moral tales intended for children, includes many of the most enduring fairy tales of our time, such as ''Cinderella,'' ''Sleeping Beauty,'' and ''Little Red Riding Hood.'' However, the level of violence in these stories is not downplayed as it is in more modern adaptations. In general, Andersen’s works have been consistently well received. Georg Brandes, one of the first prominent critics to recognize Andersen’s literary significance, especially commended Andersen’s use of conversational language, which he claimed distinguished the author from other children’s writers and prevented his stories from becoming outdated. Later, such Danish critics as Elias Bredsdorff and Erik Haugaard praised the uncluttered structure of Andersen’s tales. Some twentieth-century commentators have considered Andersen’s work maudlin and overly disturbing for small children. Nevertheless, he is usually recognized as a consummate storyteller who distilled his vision of humanity into a simple format that has proved universally popular. Fairy Tales. By 1835, when his Fairy Tales (Eventyr in Danish) was published, Andersen was well-known in Denmark for other travel books, plays, and a novel, The Improvisatore; or, Life in Italy (1845). However, early critical reception of Fairy Tales was generally negative. At first, Andersen agreed with his detractors, calling his tales smaating, or trifles. However, he soon realized that these short works were the perfect outlet for his messages to the world, so he continued to write stories in this vein. Andersen also discovered that his tales commanded his greatest audience and could bring him the international fame he craved. His popularity increased in Europe and America, and he traveled extensively throughout Germany, Holland, and England. As well-known as he was around the world, critics in Denmark often did not recognize or acknowledge Andersen’s talent. Both those who addressed him in private and those who wrote publicly failed to see the originality of his language and often reproached him for not being able to write ‘‘proper Danish.’’ They attributed his inability to his having so much faith in his own talent that he did not wish to submit to any kind of serious studies or to learn from the great classical authors. Even his old friend Edvard Collin, who assisted him by copying out and proofing his manuscripts, repeated the criticism in the book he published after the author’s death, Hans Christian Andersen and the Collin Family (1882). He also stated that Andersen regrettably lacked the desire or ability for any kind of rigorous study. 1. Andersen’s critics often stated that his work was not sophisticated enough to reach the level of art. Yet his work was and is very popular with readers around the world, especially children. What do you think are the most important characteristics that identify a work of literature as art? Using these criteria, do Hans Christian Andersen’s tales qualify as art? 2. Read Andersen’s first published story, ‘‘The Tinder Box.’’ How is his upbringing and cultural background reflected in this story? In what ways is the author’s young life similar to the soldier’s life in his story? 3. Like many tales for children, Andersen’s stories usually contain an instructional message for readers meant to help them lead successful lives. These are similar to the ‘‘morals’’ found at the end of Aesop’s fables but may not be stated as explicitly. Pick one of Andersen’s fairy tales and explain the message or messages found within it. Provide specific details from the story to support your explanation. 4. Select one of the many retellings, edited versions, or dramatizations of Andersen’s stories and compare it carefully to the original. What do the changes reveal about the difference between our time and place and Andersen’s? What do they reveal about the changing concepts of children? Bingham, Jane H., ed. Writers for Children: Critical Studies of Major Authors since the Seventeenth Century. New York: Scribner, 1988. Bredsdorff, Elias. Hans Christian Andersen: The Story of His Life and Work, 1805-75. New York: Scribner, 1975. Brown, Marion Marsh. The Pauper Prince. Los Angeles: Crescent Publications, 1973. Groenbech, Bo. Hans Christian Andersen. Boston: Twayne Publishers, 1980. Prince, Alison. Hans Christian Andersen: The Fan Dancer. London: Alison & Busby, 1998. Spink, Reginald. Hans Christian Andersen and His World. New York: Thames & Hudson, 1972. Stirling, Monica, The Wild Swan: The Life and Times of Hans Christian Andersen. New York: Harcourt, 1965. Toksvig, Signe. The Life of Hans Christian Andersen. New York: Macmillan, 1933. Wullschlager, Jackie. Hans Christian Andersen: The Life of a Storyteller. New York: Knopf, 2001. The Hans Christian Andersen Center. Retrieved April 6, 2007, from http://www.andersen.sdu.dk/index_e.html.